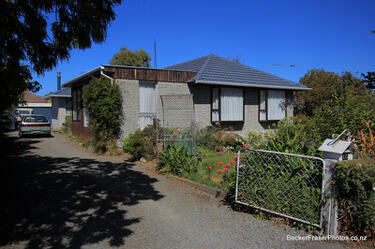 Photograph captioned by BeckerFraserPhotos, "4 Meadow Street, Kaiapoi". 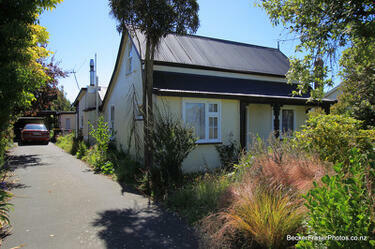 Photograph captioned by BeckerFraserPhotos, "3 Meadow Street, Kaiapoi. This side of the street is blue-green (Technical Category 3) and the opposite side is red zoned". 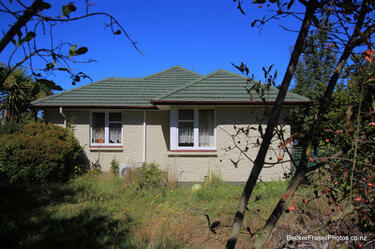 Photograph captioned by BeckerFraserPhotos, "5 Meadow Street, Kaiapoi". 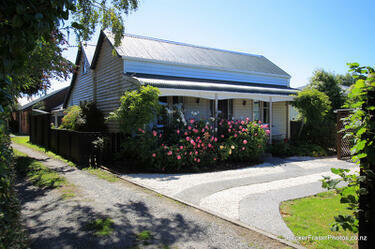 Photograph captioned by BeckerFraserPhotos, "8 Meadow Street, Kaiapoi. This side of the street is red zoned, the opposite side blue-green (Technical Category 3)". 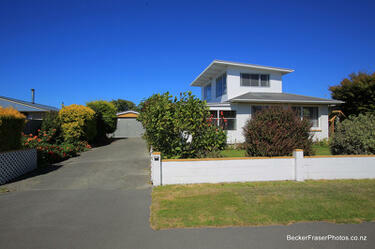 Photograph captioned by BeckerFraserPhotos, "7 Meadow Street, Kaiapoi". 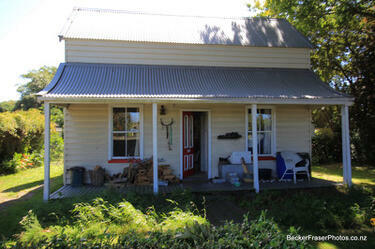 Photograph captioned by BeckerFraserPhotos, "10 Meadow Street, Kaiapoi". 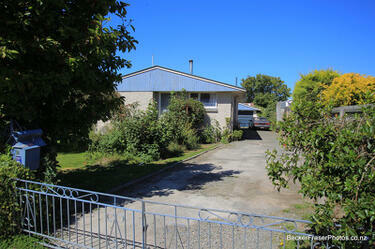 Photograph captioned by BeckerFraserPhotos, "6 Meadow Street, Kaiapoi". 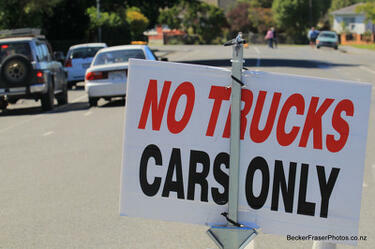 Photograph captioned by BeckerFraserPhotos, "A street sign on Meadow Street in Kaiapoi reading, 'No trucks, cars only'".